A stunning 4-0 win at our home fortress against Club Brugge yesterday put us once again in the UEFA Europa League's last 16, where we are to face top Italian club SSC Napoli. Exclusively for season ticket (DAUERKARTE) holders! Season ticket seats are reserved up to and including Sunday 03.03.2019. Every holder of a DAUERKARTE Basic can buy one match ticket (with a 10% discount) + another match ticket (per season ticket seat, at normal price). Every holder of a DAUERKARTE Premium will have the ticket price automatically debited from their account (with a 20% discount) and their match ticket loaded onto their season ticket. 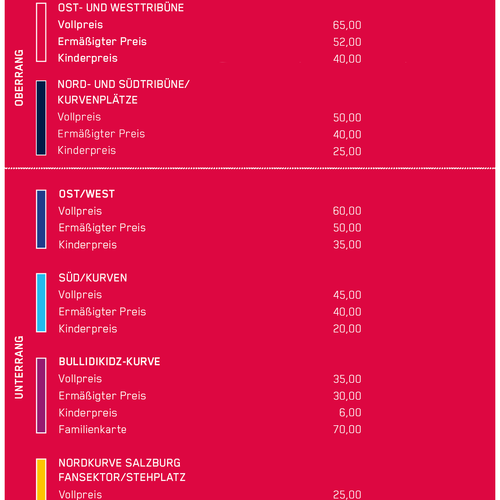 Every DAUERKARTE Premium holder can also buy one further match ticket for each season ticket seat (at normal price). Every fancard holder can receive two match tickets at the normal price upon presenting their fancard. 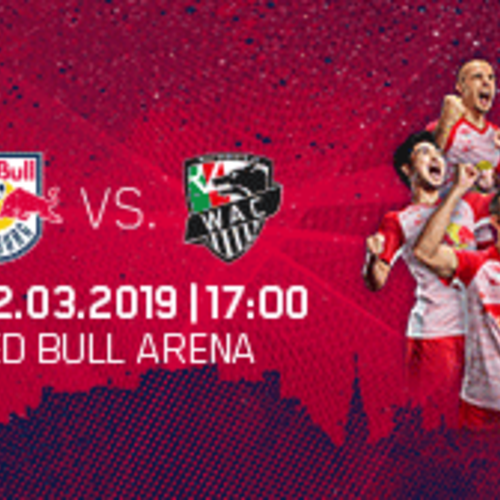 Available at the Red Bull Arena or for users already registered at the Online Ticket Shop. All fans who have bought a ticket in the last couple of seasons (as of 21.02.2019) can buy two match tickets at a normal price. Available for customers already registered at the Red Bull Arena or Online Ticket Shop. Every Bullidikidz Club member can buy two match tickets at normal price upon showing Bullidikidz Club ID. There is a maximum of 2,000 tickets available this way! Can be purchased from the Red Bull Arena. Two match tickets per person can be bought at the normal price. Available at the Red Bull Arena and Online Ticket Shop. IMPORTANT: Children's tickets are not available at the Online Ticket Shop in this phase, unfortunately! An extra EUR 2.00 supplement is due on full price and concessions tickets on match days. Concessions: available for schoolchildren, apprentices, students, pensioners, military recruits and those performing community-based national service, youngsters (aged 14 to 17 included) and disabled people (details). Children's price: valid from the age of six up to and including 13 (no ticket needed for children aged five or under, but they do not get their own seat). FamilyCard: valid for two adults and all their own children up to and including the age of 13 (not available online). 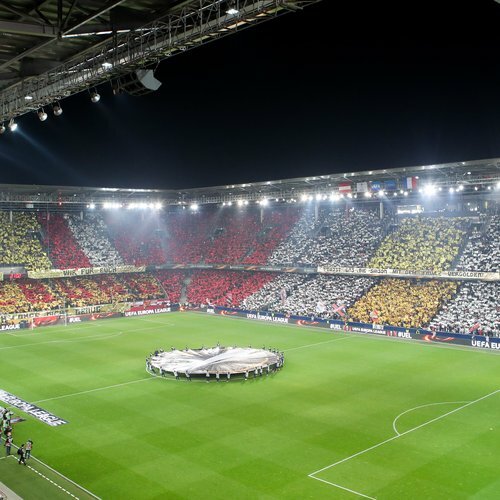 Teenscard/youth ticket: valid from the age of 14 up to and including 17, available exclusively in the NORTH CURVE Salzburg. For concessions and children's tickets, it is absolutely essential to show ID to access the stadium. All prices are listed in Euro and include all taxes.